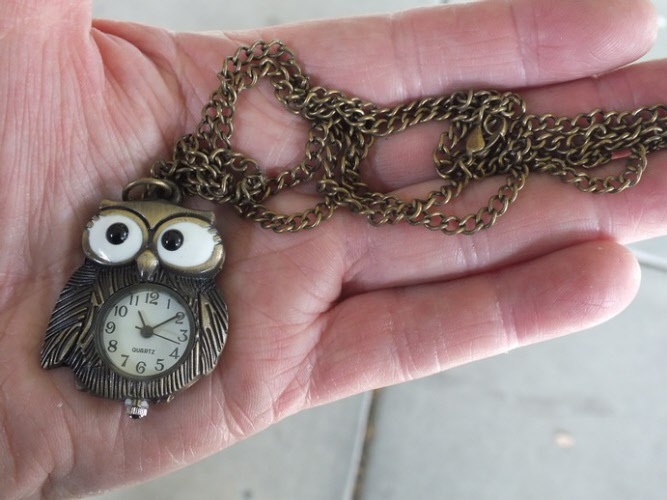 A beautiful Owl watch on a long chain. Ideal gift for the Owl lover / collector. 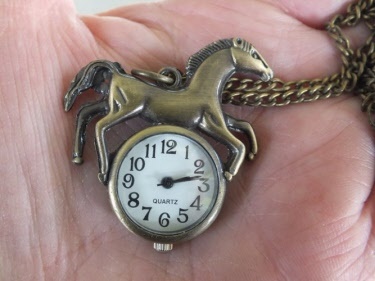 Made from metal and comes with battery included. A great pendant and a watch made from metal. 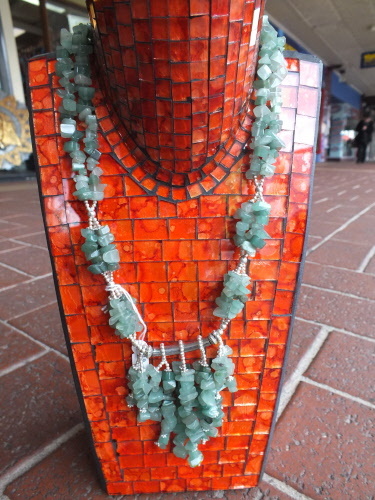 Battery operated, comes with battery included, and it's on a long chain. 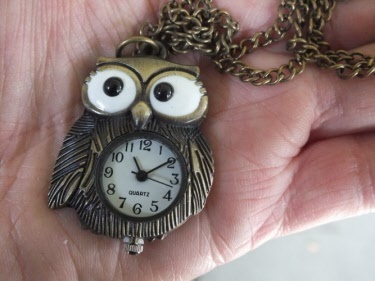 Gorgeous Owl pendant on chain with two cute little owl earrings, all with faux turquoise stone. 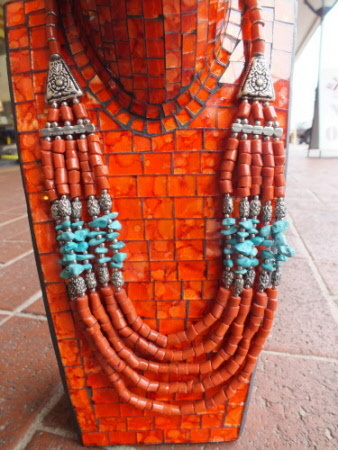 Delightful and stunning, this is a real show stopper. 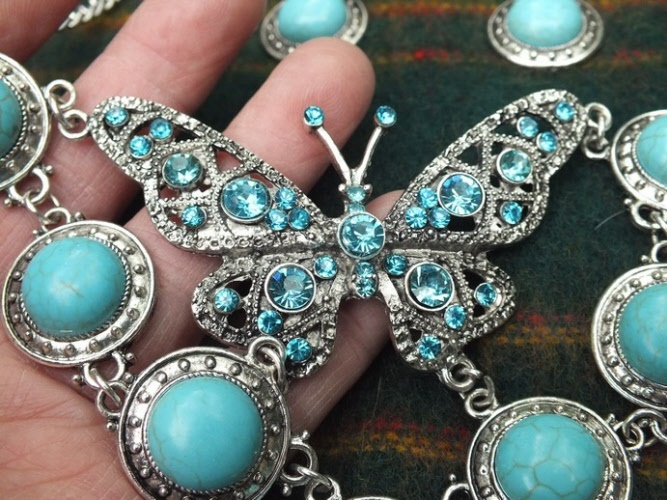 Necklace with Large butterfly - faux turquoise and rhinestones, take a look at all the photos. You will stop people in the street wearing this set on a night out. Length of necklace can be adjusted to suit your style. 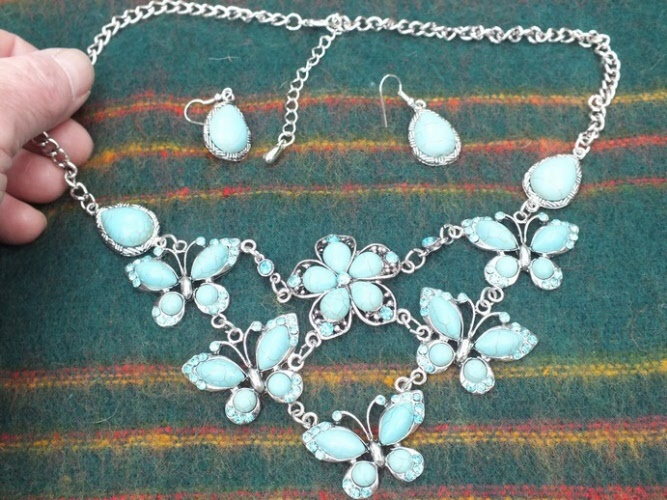 Fantastic and beautiful is one way of describing this necklace and earring set. With it's adjustable chain you can make the lenght to suit your own individual style. 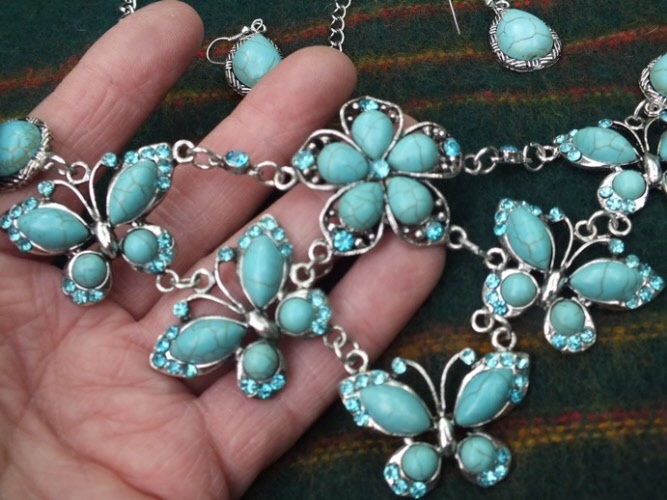 Five butterflies with faux turquoise and rhinestones plus a little flower in the centre. 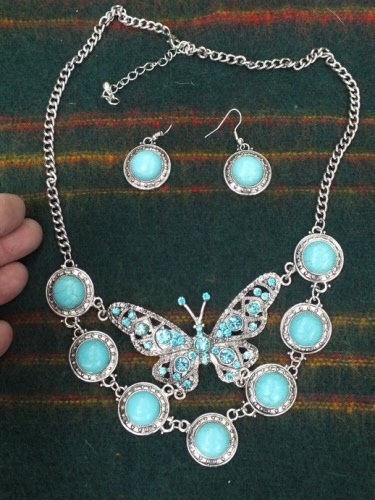 Not only that but comes with earrings as well. Click on the photo to view more close up images. 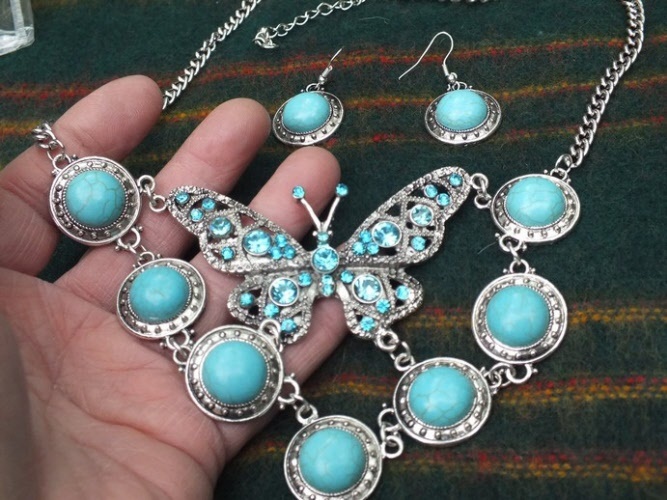 You can't go wrong with this beautiful set. 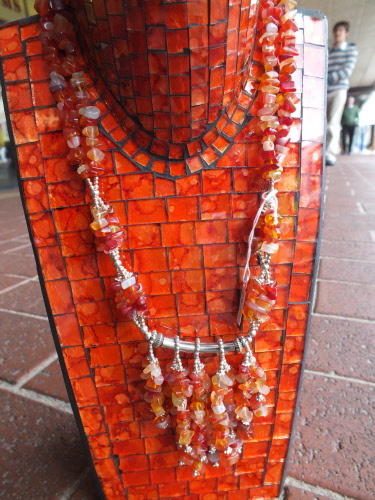 As pictured a beautiful small black beads necklace with many strands and an Amber coloured pendant. 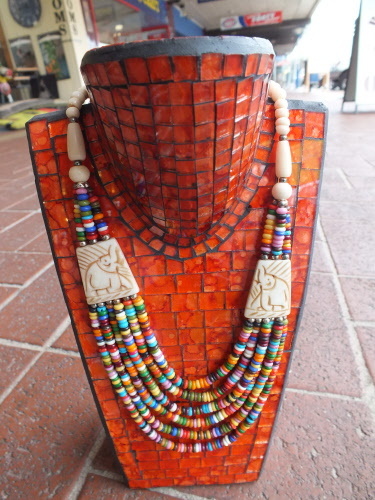 As pictured a beautiful rainbow beads necklace with many strands and elephants on each side. 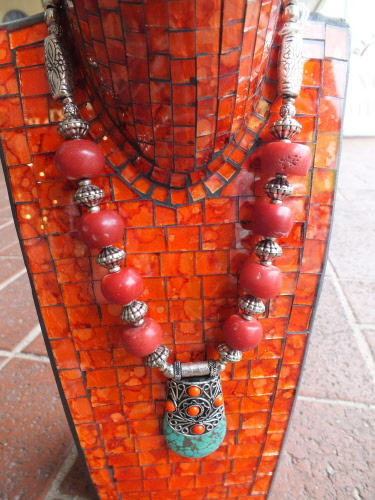 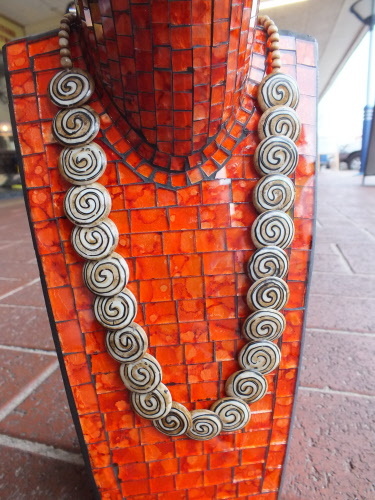 As pictured a beautiful chunky necklace with large red beads and a Turquoise & metal pendant. Beautiful necklace made from genuine Afghani Lapis gemstone, has screw fitting to secure around your neck. 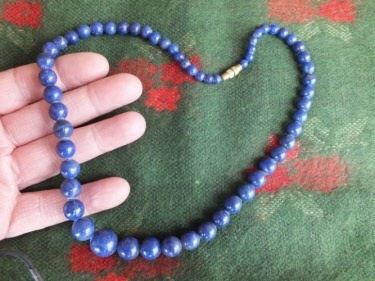 This Lapis is one of the best in the world and is sold in some shops and websites for around $500, as we bulk buy we have managed to secure them at a much better rate. As pictured a beautiful necklace with turquoise and red coral beads. As pictured a beautiful necklace with cream coloured beads. 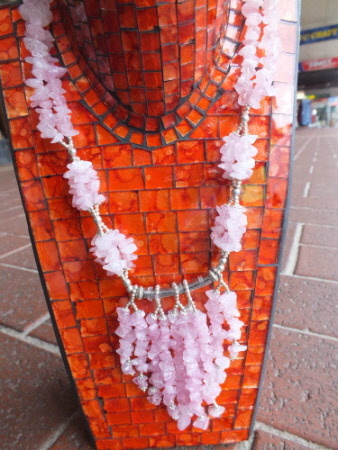 As pictured a beautiful necklace with genuine amethyst gemstone beads. 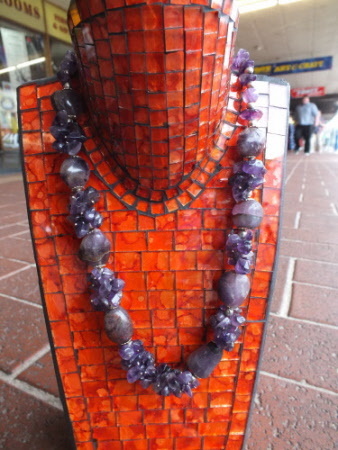 As pictured a beautiful necklace. 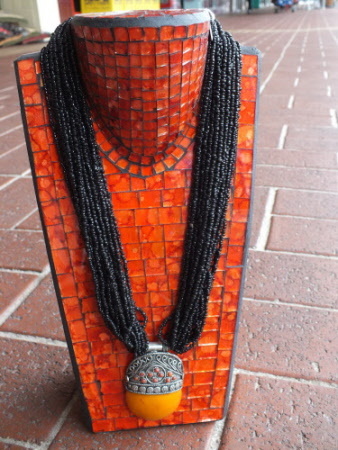 As pictured this beautiful necklace is a great design.